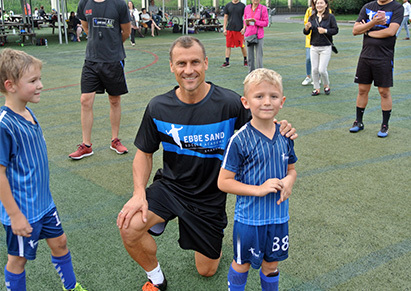 During the past 6 years, Ebbe Sand Soccer Academy Shanghai has gained the confidence of thousands of players and parents, who have supported their children into achieving their sports passion and dream. The academy has a high-performance philosophy inspired by the Danish, German and Spanish soccer and this is the foundation of all our programs. Ebbe Sand, the founder and master coach of Ebbe Sand Soccer Academy Shanghai is a former Danish international soccer player who played in the Brondby IF team in Denmark, Shalke 04 in Germany and the Danish National Team during 2 world cups. His professionalism on the field and humanism outside the field have made him a true inspiration and grow model for the team of coaches and players.